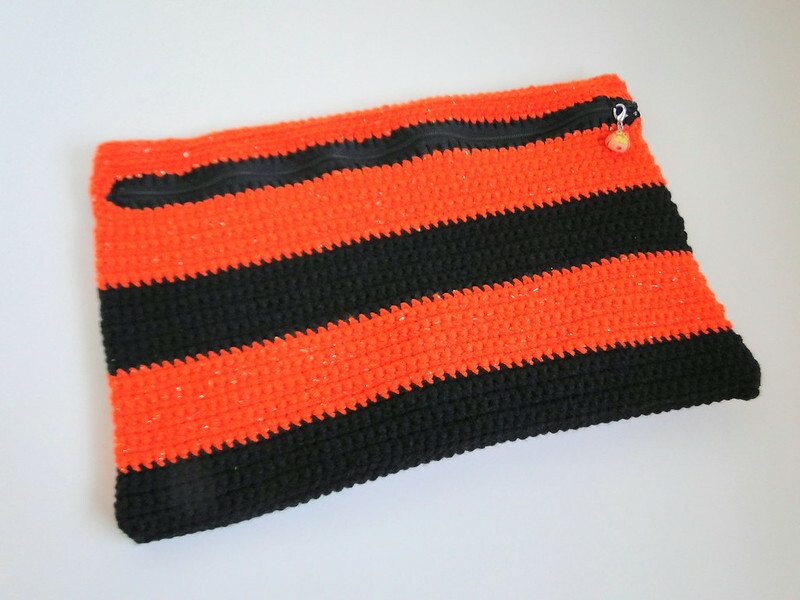 Today I'm going to share the pattern to make the cross-stitch bag that I crocheted using the Sharp Crochet Hook. I tried to make this pattern as clear as possible but I'm not an expert pattern writer, so if something doesn't make sense, please let me know so I can try to help! 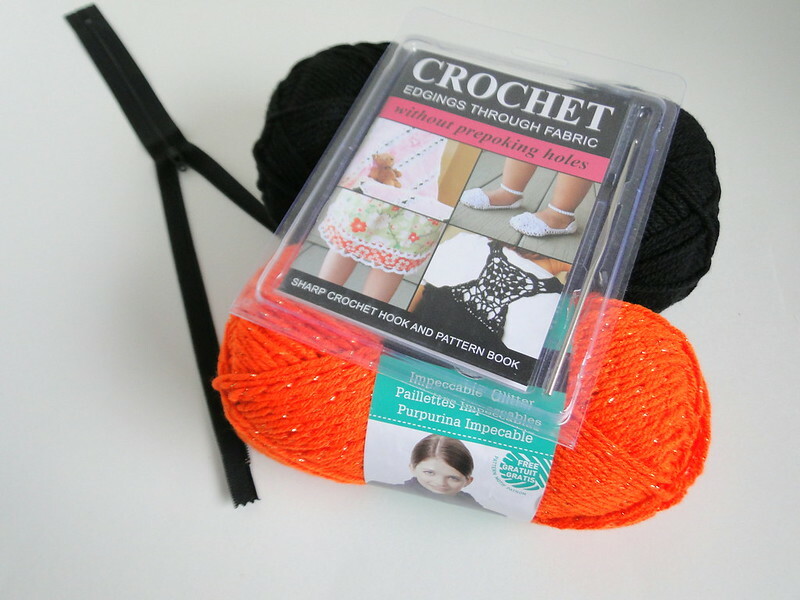 This bag I'm using to hold my cross-stich supplies but you can use this bag to hold anything that will fit! 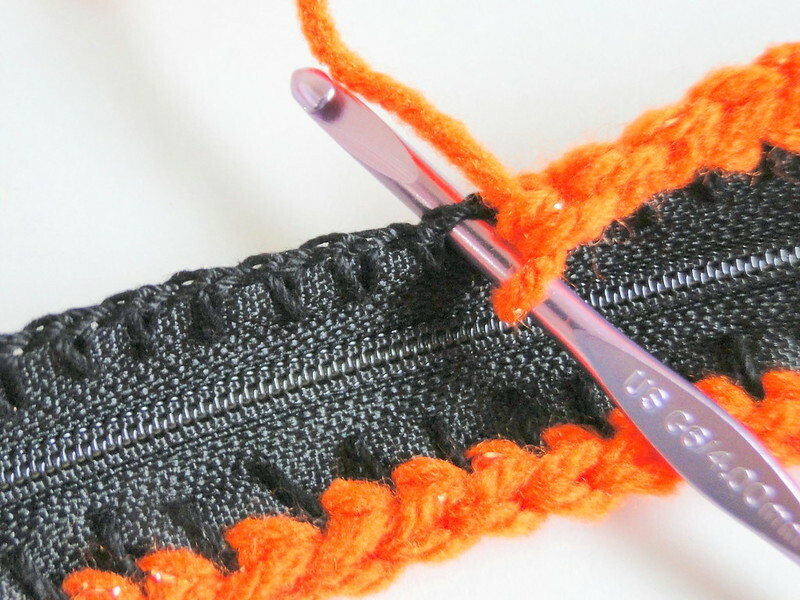 1: Use your sharp crochet hook and thread; *sc, ch1 to the corner, ch3, sc, (ch1, sc)twice, ch3* repeat, join and cut your thread. Try to space your sc as evenly as you can. A trick you can use to do this is to mark 1/4" with a marker on your sharp hook, measuring from the tip of the hook and then use that mark as your guide. 2: Switch to worsted weight yarn and 4mm hook; sc in each ch1 sp, 3sc in each corner sp, fasten off yarn. 88-90: sc in each stitch. 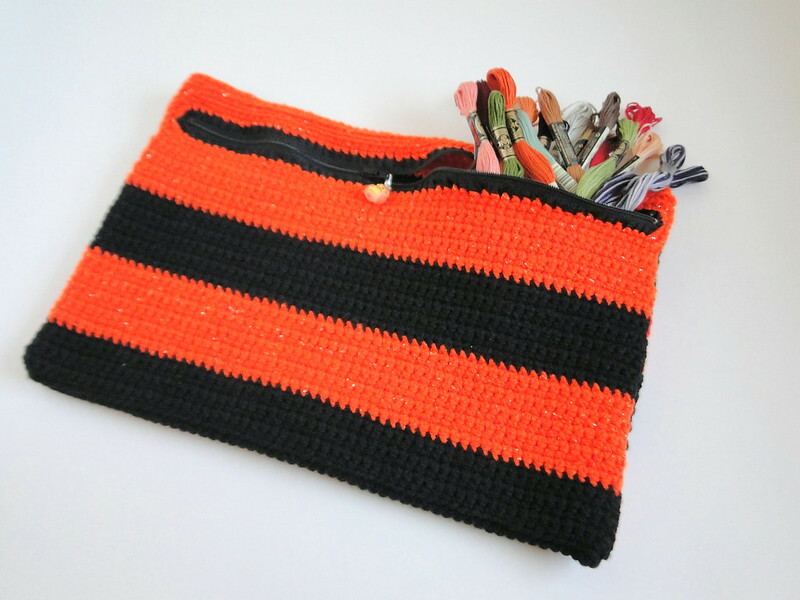 Now you can fold your crochet piece over so your last row lines up with the top row over the zipper. Join together with a whip stitch. 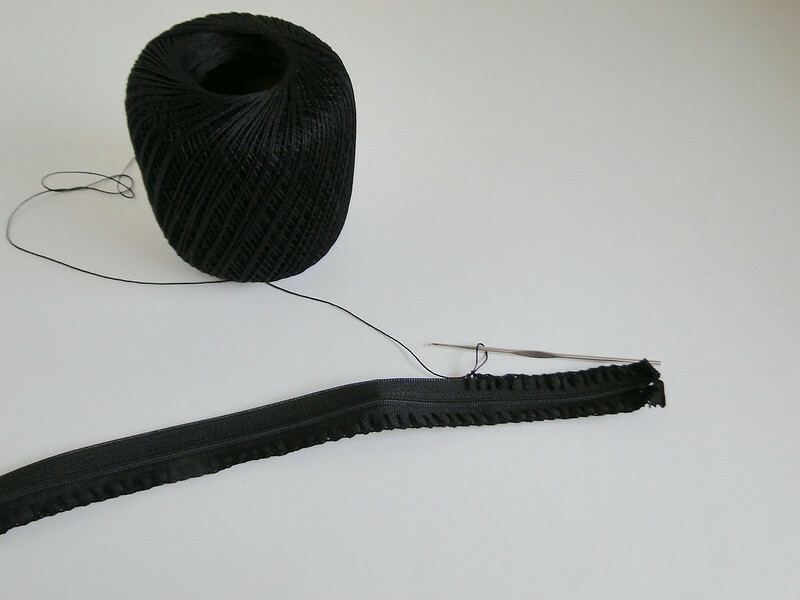 Open your zipper (so you can turn bag right side out); whipstitch the sides together, making sure your wrong side is showing. Turn bag right side out through the zipper. 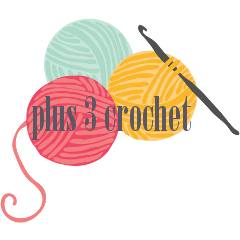 The rows where you crocheted front loops and back loops only will help your bag fold in the right places.